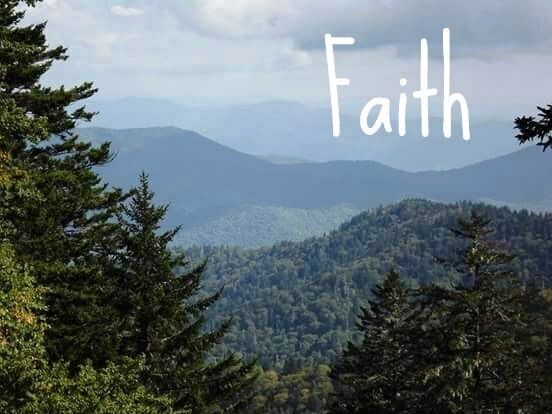 Faith releases Gods promises when we believe – I Am Not Ashamed Of The Gospel Of Christ! Abraham is considered the father of us all and was made the father of many nations,it is by faith he believed the promises of God just as when we to believe Gods promises and by faith they come into existence (Romans 4:16-25). 16 Therefore it is of faith, that it might be by grace; to the end the promise might be sure to all the seed; not to that only which is of the law, but to that also which is of the faith of Abraham; who is the father of us all,17 (As it is written, I have made thee a father of many nations,) before him whom he believed, even God, who quickeneth the dead, and calleth those things which be not as though they were.18 Who against hope believed in hope, that he might become the father of many nations, according to that which was spoken, So shall thy seed be.19 And being not weak in faith, he considered not his own body now dead, when he was about an hundred years old, neither yet the deadness of Sarah’s womb:20 He staggered not at the promise of God through unbelief; but was strong in faith, giving glory to God;21 And being fully persuaded that, what he had promised, he was able also to perform.22 And therefore it was imputed to him for righteousness.23 Now it was not written for his sake alone, that it was imputed to him;24 But for us also, to whom it shall be imputed, if we believe on him that raised up Jesus our Lord from the dead;25 Who was delivered for our offences, and was raised again for our justification. Just as we look at all our Lord endured for us it seems when we are chastened it is taken as though we are doing something wrong,but when we suffer for the sake of our Lord it is then we realize those whom He loves He chastens out of love.This in turn strengthens our faith and we believe in His way even more! (Hebrews 12:1-7). Wherefore seeing we also are compassed about with so great a cloud of witnesses, let us lay aside every weight, and the sin which doth so easily beset us, and let us run with patience the race that is set before us,2 Looking unto Jesus the author and finisher of our faith; who for the joy that was set before him endured the cross, despising the shame, and is set down at the right hand of the throne of God.3 For consider him that endured such contradiction of sinners against himself, lest ye be wearied and faint in your minds.4 Ye have not yet resisted unto blood, striving against sin.5 And ye have forgotten the exhortation which speaketh unto you as unto children, My son, despise not thou the chastening of the Lord, nor faint when thou art rebuked of him:6 For whom the Lord loveth he chasteneth, and scourgeth every son whom he receiveth.7 If ye endure chastening, God dealeth with you as with sons; for what son is he whom the father chasteneth not? Jesus knew the importance of us believing on all He stood for,and the man who was born blind surely knew what it meant to believe when he was miraculously healed! (John 9:32-38). 32 Since the world began was it not heard that any man opened the eyes of one that was born blind.33 If this man were not of God, he could do nothing.34 They answered and said unto him, Thou wast altogether born in sins, and dost thou teach us? And they cast him out.35 Jesus heard that they had cast him out; and when he had found him, he said unto him, Dost thou believe on the Son of God?36 He answered and said, Who is he, Lord, that I might believe on him?37 And Jesus said unto him, Thou hast both seen him, and it is he that talketh with thee.38 And he said, Lord, I believe. And he worshipped him.